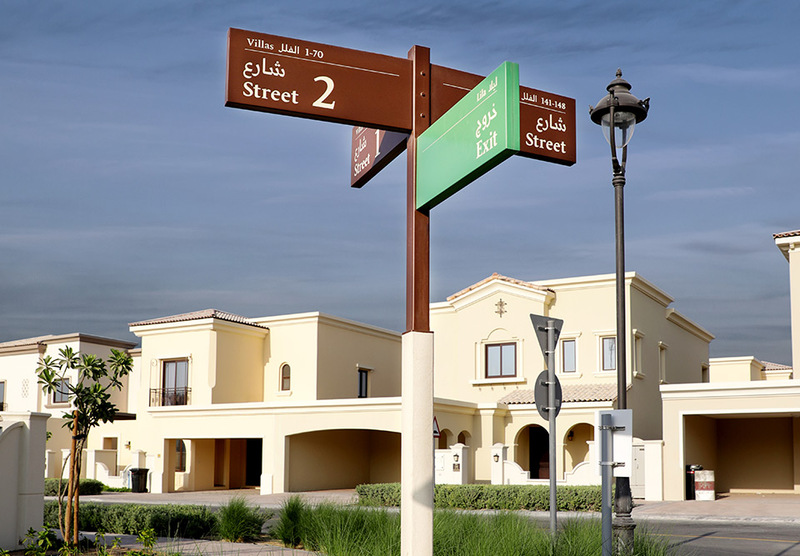 Surrounded by the warm desert sands of Dubai, Arabian Ranches is a prestigious community, offering its inhabitants an exceptional living environment. Combining elements of Arabic architecture and European sophistication, the development comprises of residential neighborhoods. 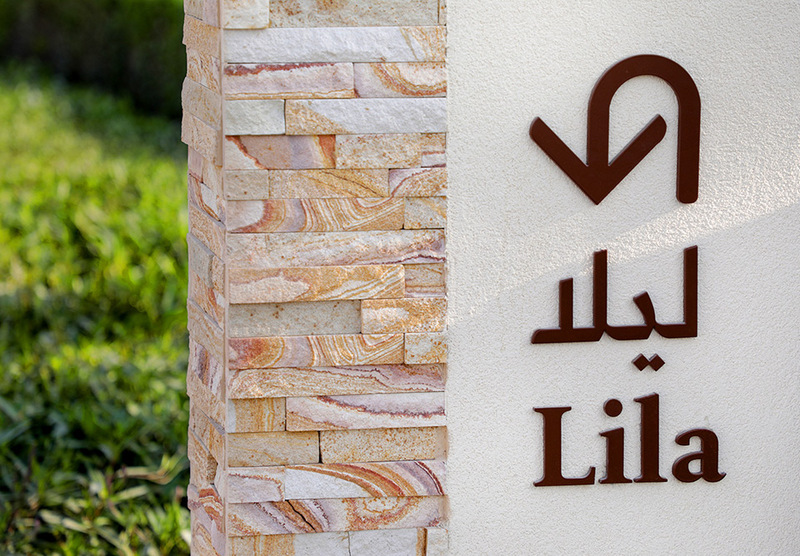 Located next to Sheikh Mohammed bin Zayed Road, all of Dubai’s key locations are within easy reach. 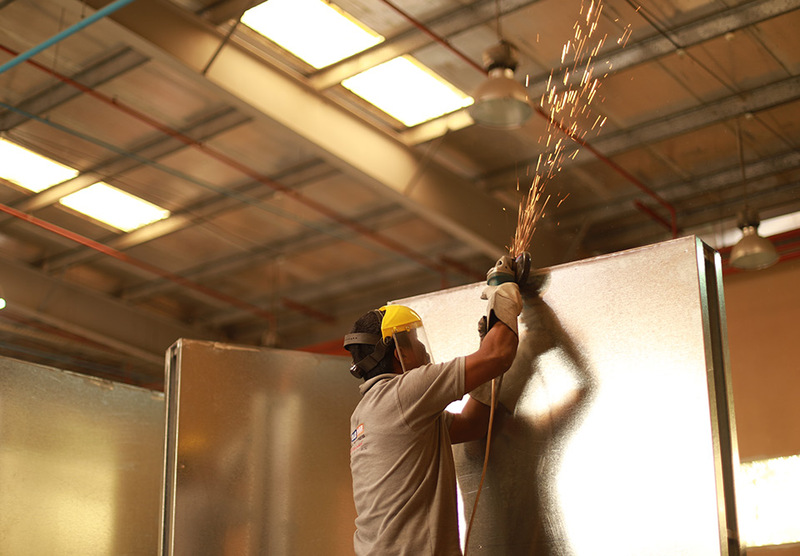 The communities were in a construction phase at the time of installation and we worked closely with the end client, the landscape contractors and lead consultant. 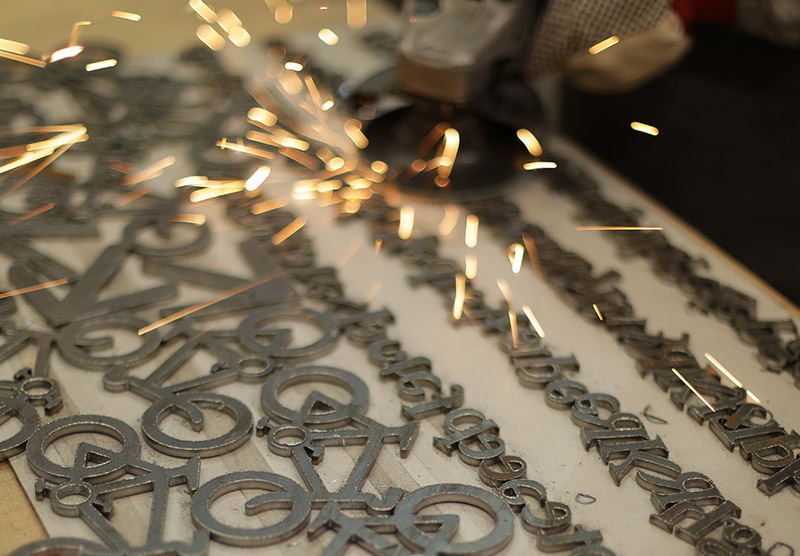 Our experience with Emaar means we are fully up to speed with their design and implementation aspirations which allows us to benefit from many cost saving efficiencies, for the end client. 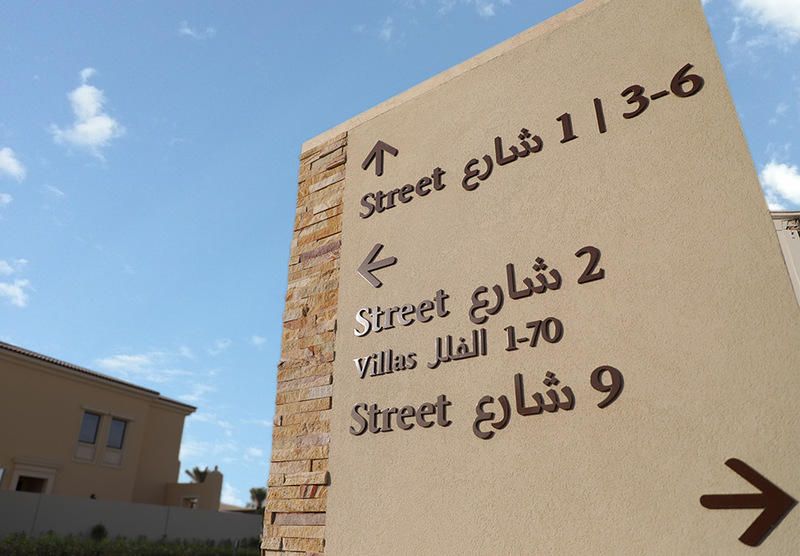 The signs were delivered within the construction program timeline to coincide with the handover of the villas to the residents in each community. 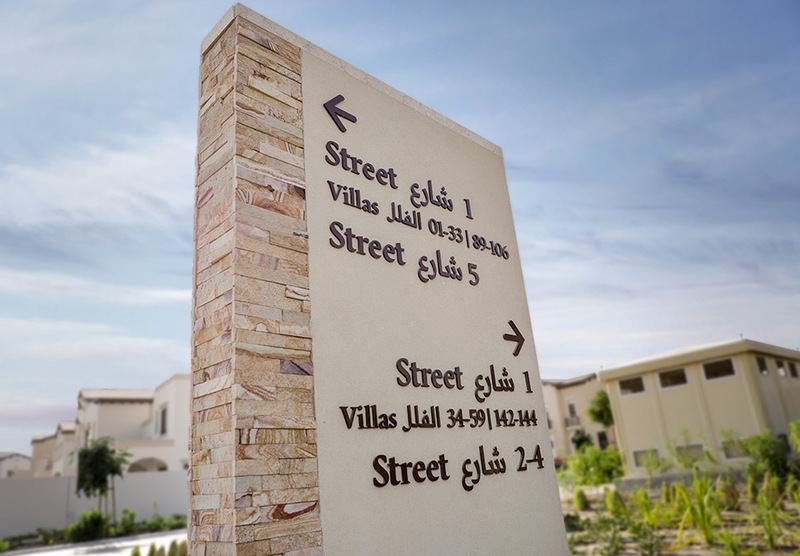 The wayfinding package consists of signs that are made up of terracoat and marble, Blue Rhine Industries are highly trained in this application.